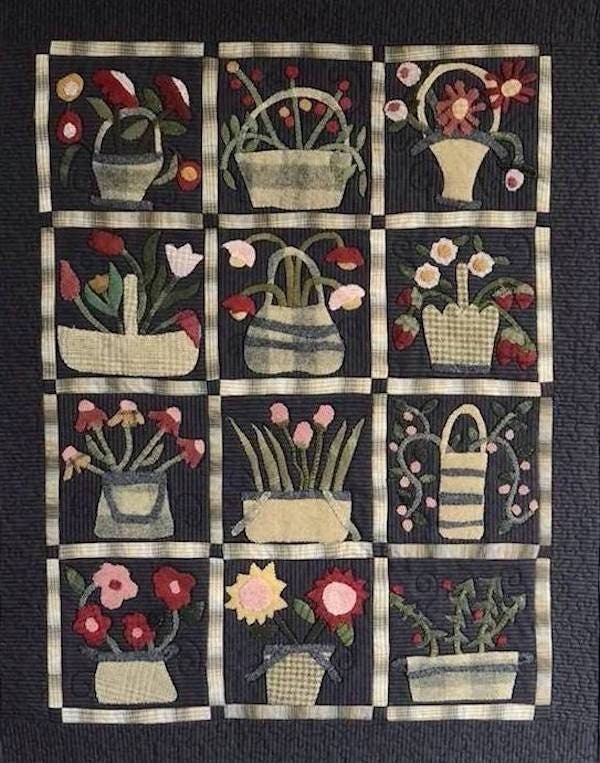 Quilt pattern called "Little Wooly Baskets" created by Linen Closet Designs. Finished quilt measures 24" x 30 1/2". These little six inch wool baskets radiate charm. Stitch them as they are for a sweet, primitive look or personalize with your own favorite embroidery stitches.